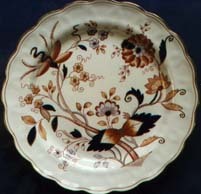 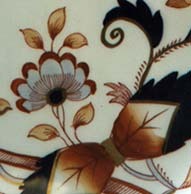 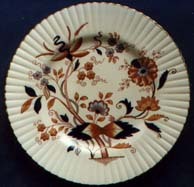 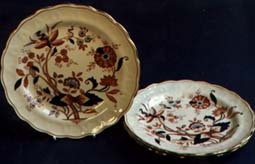 An attractive floral pattern based on a red transfer with handpainted orange, dark blue, light blue and gold. 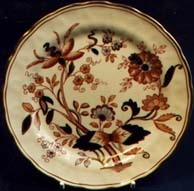 All the items below are fully coloured, but there also exists a plain version with only a few flowers coloured in. 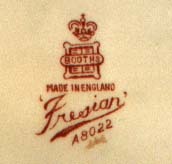 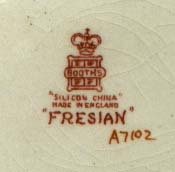 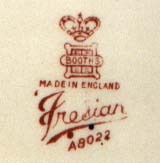 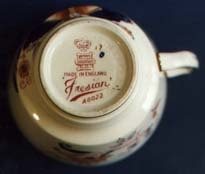 Although the backstamp is given in the reference books as 1912-30, this popular pattern was still being produced in the 1960s.